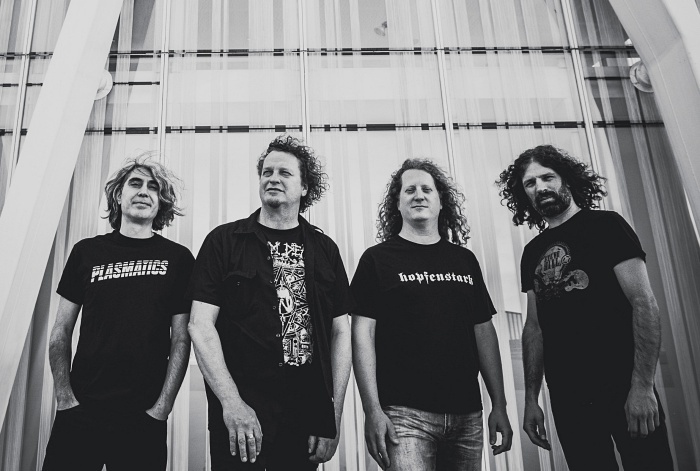 Voivod has been my favorite band since I first heard them back in 1985. From War and Pain on, their sound has transformed and evolved brilliantly. Their founding member and guitarist Denis "Piggy" D'Amour has had more of an influence on my guitar playing than anyone. As fate would have it, the world was robbed of his brilliance in 2005. One would think that would have meant the end of Voivod. 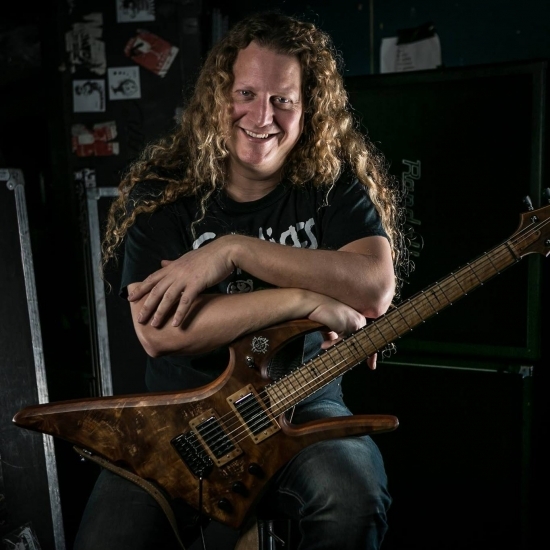 Fast forward to 2008, and guitarist Dan “Chewy” Mongrain stepped in to fill the vacant position, and as a diehard fan of the band, I have to say that the transition was virtually seamless. 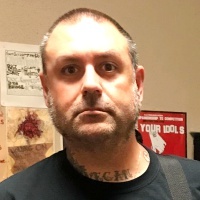 Not only did Dan master the songs we already know and love, but he has added his own brilliant style into the mix on the Target Earth (2013) , the Post Society EP (2016), and Voivod’s amazing and most current release, The Wake, which was my pick as Best LP of 2018. Dan was nice enough to chat with for the Gear Nerd series and I couldn’t be more excited about it! Thank you for taking the time out to do this interview! Please let our readers know who you are and what you do. 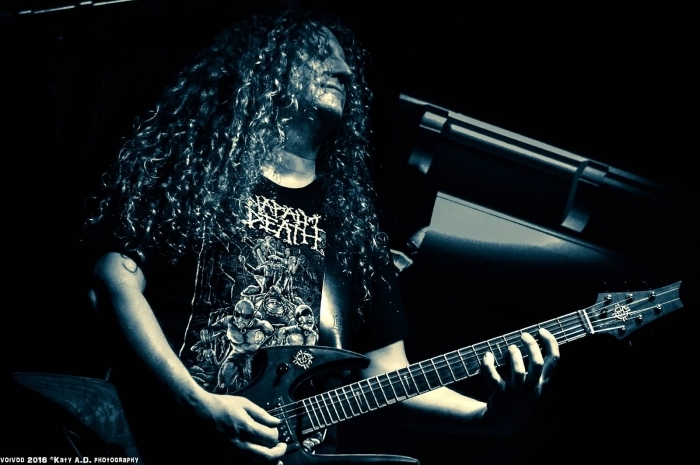 Hi there, I’m Dan “Chewy” Mongrain, guitar player and composer in Voivod. Where did the nickname "Chewy" come from? An old friend called me "Chewy" as I had the unfortunate habit to scream really loudly in a very annoying voice tone. I had at the time super long hair and I'm 6 feet tall…he just had this Chewbacca image in his mind and started to call me "Chewy." It’s the only nickname I ever had, or the only one that stuck. I thought it was natural for Voivod. It was not overthought [laughs]. Can you give us a little bit of your musical history? When did you first start playing and did you pick the guitar up from the very beginning? I played the piano at a young age, around 6 or 7, for a few years, then started to be more interested in rock music around 10 or 11-years-old. It was 1986-87, I was more and more into rock, Master of Puppets and Appetite for Destruction, Reign in Blood, came out, more and more clips were available for us to watch on TV but we didn’t have cable, so we (my brother and me) would watch the music channel through a distortion-filled screen, that’s when I saw the video clips of Celtic Frost, Coroner, and Voivod. The Voivod video was for the song "Ravenous Medicine" and it was so different from any other band I had seen before. I was in awe. That probably was the trigger for me to really make the decision of buying a guitar and start a band. That’s what I did. Next thing you know, I would spent my entire days playing and practicing. I did that for years. Between 5 and 8 hours a day. How did you wind up getting into metal and what other types of music do you enjoy? I’m pretty open-minded when it comes to music. The first music I was really conscious of as making the “effort” of listening to music was probably classical music. My mother sang and still sings in the same choir since almost 40 years. So, classical music was present in my childhood and then, as a kid I had a friend who had Elvis Presley and Michael Jackson vinyl, that’s the first time I was in contact with pop and rock 'n' roll music, I thought it was amazing. I felt like I discovered a whole new palette of colors. Then I started to go further and explore more, and at some point discovered metal music. It literally saved my life, and helped focus my energy into something positive and creative at a time when life was a struggle for me. Voivod was the band that made me realize that novelty, uniqueness, and authenticity are the three elements I’m looking for in music in general. It has to be unique and has to have something special for me to be curious about it. I listen to many genres: jazz, prog-rock, orchestrations, pop, soundtracks, etc. Also metal, when it surprises me. Anything that surprises me—like the band Cardiacs—I’m a big fan of. And I teach music, so my job is to listen, learn, and teach music. So, in my spare time, I’d rather do something else most of the time: road bike, cooking fermented food, reading, etc. What other bands were you in before Voivod? My brother and I formed a band called Martyr when I was 14 and it lasted 22 years. We did three albums and 1 DVD. It was quite popular in Canada and it became a cult band in the technical death metal community. It was very complex and intricate. I also played in Gorguts and participated in the composition of one album [2001's From Wisdom to Hate] with them. I briefly played in a band called Cryptopsy but soon realized it was not my cup of tea and left after a tour. As a freelance player in the Montreal music scene, I’ve accompanied many artists from hip-hop to reggae to folk to pop to rock. 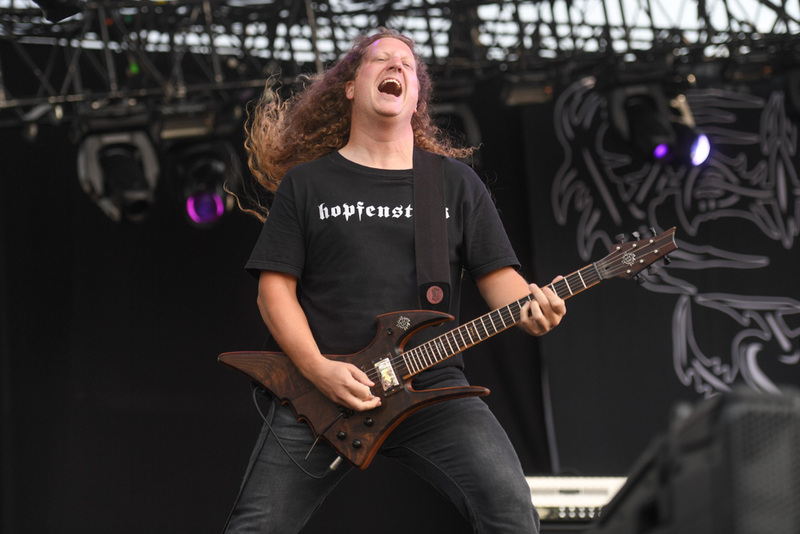 Do you currently play in any other bands besides Voivod? Yes, I have a band called Jurassik Rock which is a prog-rock tribute band. 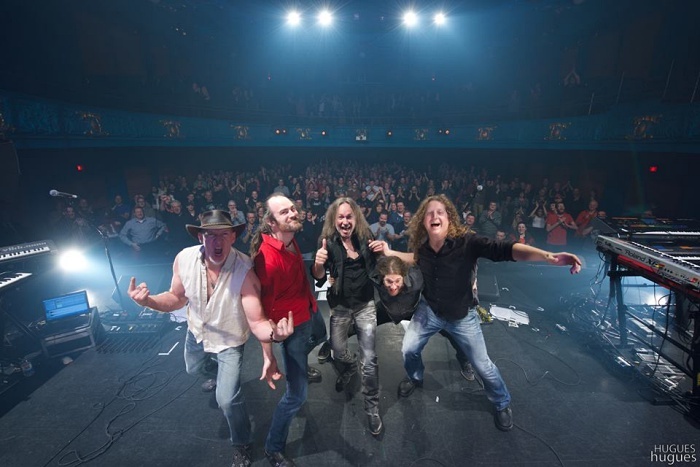 We are comprised of five musicians/singer, playing very complex stuff like Gentle Giant, UK, ELP, and more classic bands like Pink Floyd, Queen, and Kansas. It keeps my playing in shape and It is a very fun band to play with, such good musicians and good friends! What was it like transcribing Piggy’s brilliance in the Killing Technology and Dimension Hatröss songbooks? It was like doing an autopsy of an alien body for me [laughs]. I knew the albums by heart since I’ve listen to it so many times, but going inside of it and figuring out how they did it, the way parts were written and played, and something that amazed me was that a lot of the chords played by the guitar were actually containing less notes than I thought. Piggy’s playing made a lot of harmonics ring out of two to three notes chords, the other sound that we hear are the harmonics emanating from it, his playing actually was a big part of that phenomena. I learned a lot from transcribing the music of these albums. I did also a Nothing Face music book on which Piggy is the mastermind and then (post-Piggy) a Target Earth book and I just finished The Wake music book, which will be out soon. Was Piggy a big influence on your playing? Piggy was actually not a big influence on my playing, we play very differently. My approach to soloing and my technique is very different, so I had to adapt my playing by picking less hard on the strings and picking in a more bouncy way in order to get the right groove and let out those precious harmonics. Piggy was always a big influence on the way I approach composition, harmony, counterparts, textures, and structures. This might be the most important part Piggy has taught me through his wonderful music. He has as big of an impact as to make me decide to play buy a guitar and start a band, compose and later study music. You mentioned teaching, tell me a bit more about being a music professor. Yes, I teach in college, a two and three-year program of jazz-pop music. I do third year Theory and Harmony classes and Transcription, Combo (band coaching) and six different level of electric guitar classes. OK, time for gear talk! What does your current live set up consist of? Very simple. 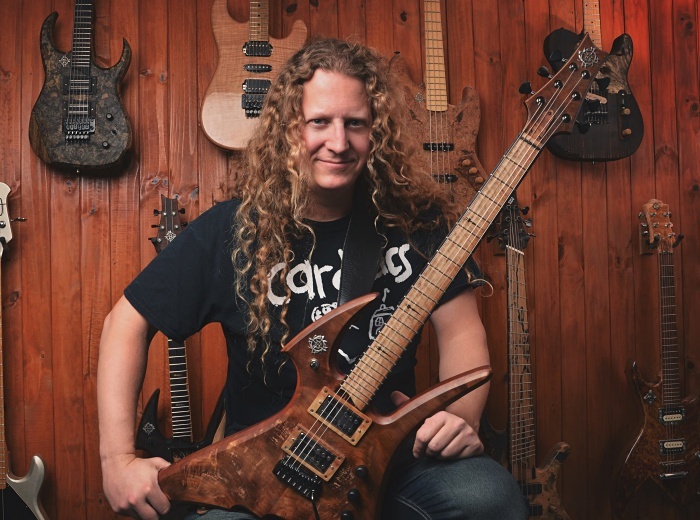 My guitar is a custom "Dan 'Chewy' Mongrain" signature model from Bond Instruments. Louis-Philippe and I designed the shape. 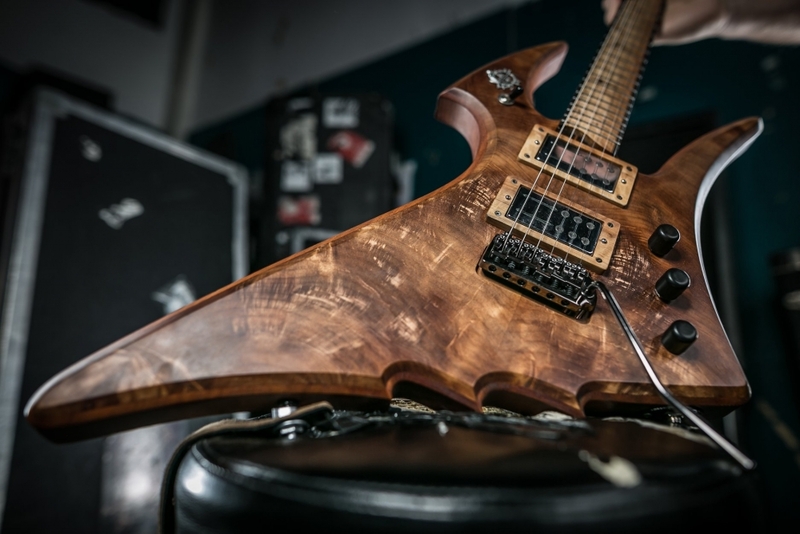 This guy is so passionate about wood and guitars, his work is beautiful and precise! I then use Multi fx/preamp (Fractal Audio fx-8) this one has no amp simulator. I have two expression pedald on it, I mainly use for volume, and delay blend, I use it a lot during solos instead of using an automatic ducking delay. I actually control de blend of the delay while I play, putting more on longer notes and less on fast phrases. 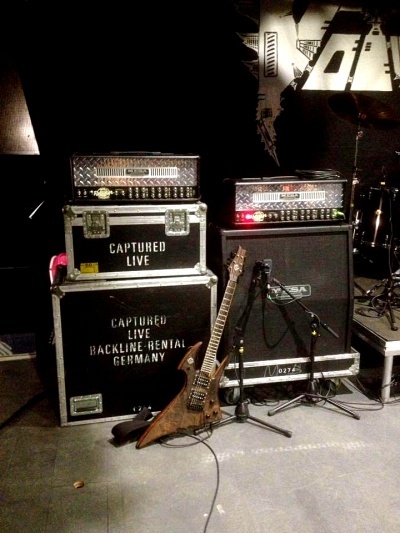 I use 2 4x12 cabs and 2 heads 1 main and 1 spare (usually Mesa Dual Rectifier). I use only the clean channel of the amp and use the gain and EQ to adjust from venue to venue. That way if I end up on a festival with different brand heads and cabs, I can pretty much tweak the amp to reach the sound I want or pretty close to it. 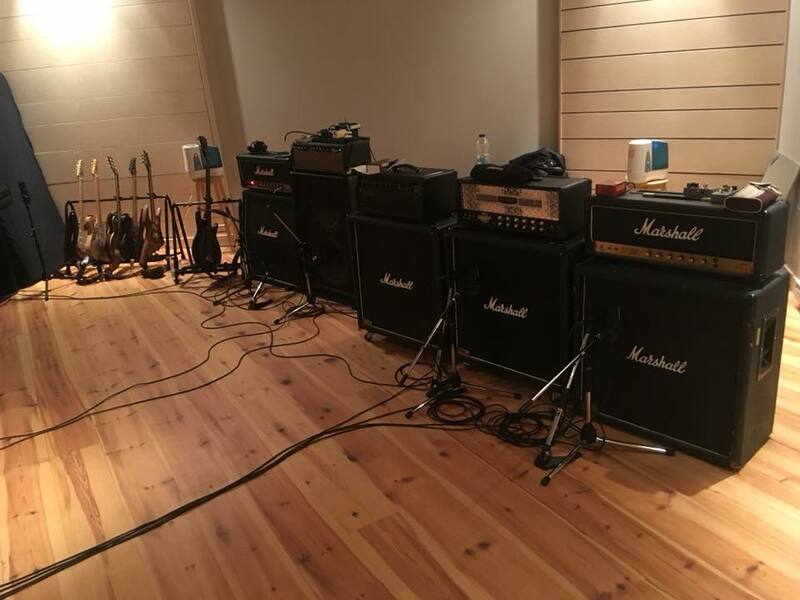 In the studio, I used different amps and guitars on different parts. What pieces of your own gear do you take with you on the road every time to use with any rental gear? Only my Bond Instruments guitar and a pedal board. Travel light, as they say. How about when it comes to recording? Do you try to mimic your live setup or do you experiment a little more when recording? In the studio we bring everything we can find and try to get the best sound out of it. I have a good Idea about the sound I want. Every amp has its own personality, so it’s interesting to have the option to blend different setups and have options on different parts. Music is telling us a lot, it asks us how it needs to sound. I don’t use a lot of distortion, maybe a little more than half, but I record two to four layers of rhythm tracks, each of one has at least two different amp setups and mic options. So, one guitar track is like four different tracks multiplied by the number of guitar tracks layer. I use different amp for solos, usually the Mark V (Mesa Boogie), which gives me this mid warm tone that I like and enables me to play fluidly and freely. For clean tone, I use a direct line and different guitars. I used a Fender Telecaster Thinline, a Fender Strat, a Les Paul (the Les Paul I used for half the rhythm parts as well), I used a 12-string acoustic guitar, a nylon string, and a 6-string as well. It’s all about creating textures. Francis Perron who recorded and Mixed the album was of great Advice to try things and guide me to choose the best options in the context. We used also as E-bow on one track for an eerie part. Capos and different tunings to have open strings ringing. But it’s not in front of the mix, it’s in the small details, so the songs stay the same when we play live. An album is a piece of art that is frozen in space and time, but a song played live is always moving, morphing, its alive. Not much, just enough to record demos and Ideas. I’m not a gear freak or a studio geek. I choose to invest my time into the music side (theory, composition, arrangement, teaching). There is so much we can achieve in music and at some point I had to choose a direction. Not really, it was trial and error. I tried many setups and came back to the most simple. I have this philosophy that the playing is 75 to 90% of your tone. 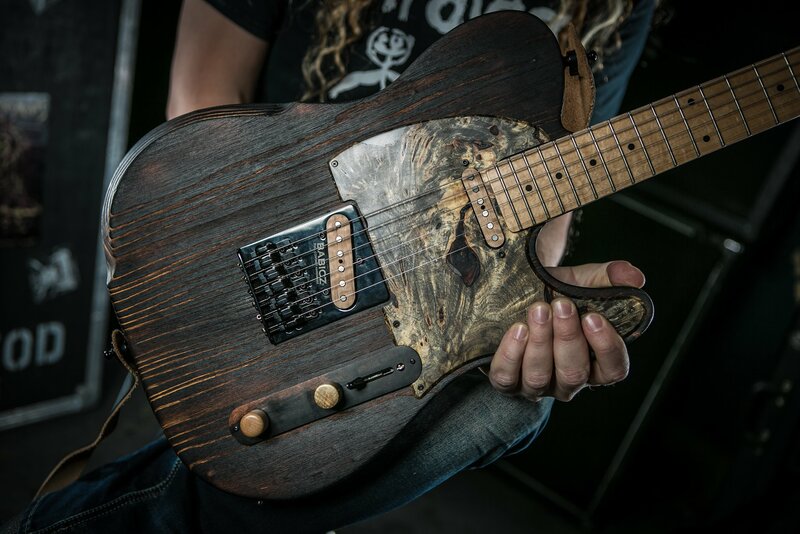 If you play well, you’re gonna sound great, even though you need to learn about gear, pickups, amps, and how to tweak everything. But the more you control your playing, the less accessories you need. It's all a balance. Is there any cool history behind any piece(s) of gear that you own? Oh well, I was about to say no but I have a Marshall JCM 800 (1985-86) and two 4x12 cabs with roadcases that belonged to Piggy. An old friend of his wanted me to have it so it could stay in the Voivod Family. He sold it to me the same price Piggy sold it to him. Piggy had the head modified with an fx loop. He used it on many tours and albums. It’s on the new album as well. We also used it for bass tracks, I think. I’m gonna keep this one forever. Thank you very much for taking the time out to do this interview! Any closing words? Thanks a lot for your passion about music and for helping the scene by your precious work! All the music fans out there, keep on going to shows and buying albums! We need your support. And we will meet you on tour and play our heart out to you all. We are connected!